Looking for a truly original souvenir? The door is open, so come on in! 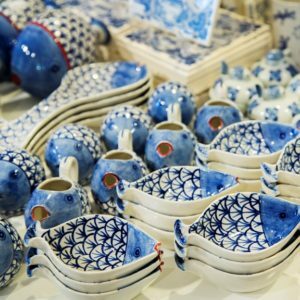 At Heinen Delfts Blauw Curacao you will find the largest collection of authentic Heinen Delfts Blauw ceramic souvenirs on Curacao. Ranging from Dutch windmills and tulips to local handcrafts made especially for our shop, you can be sure to find the perfect gift at Heinen Delfts Blauw Curaçao.